Our Azalea Bloom Out usually lasts through March. Our annual Azalea Bloom Out is a feast for the eyes. 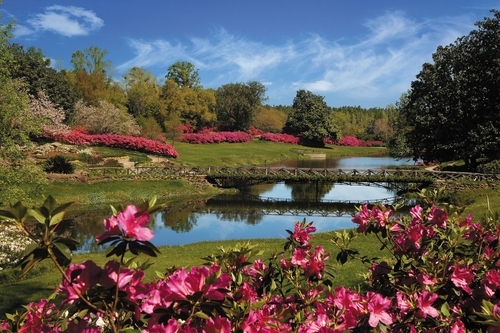 Enjoy the blooms of more than 250,000 vibrant azaleas in an explosion of color throughout the 65 acres of Bellingrath Gardens and Home. Beginning March 1, visit our Azalea Watch page on bellingrath.org for updates on peak bloom times.